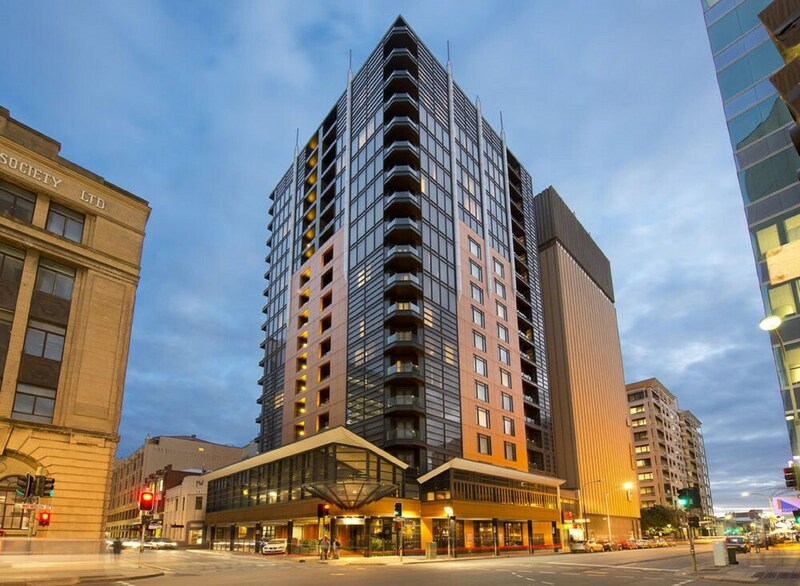 With a stay at Peppers Waymouth Hotel, you'll be centrally located in Adelaide, just a 5-minute walk from Victoria Square and 10 minutes by foot from Rundle Mall. This 5-star hotel is 0.3 mi (0.4 km) from Adelaide Central Market and 0.4 mi (0.6 km) from Adelaide Casino. Make yourself at home in one of the 168 air-conditioned rooms featuring refrigerators and LCD televisions. Complimentary wired and wireless Internet access keeps you connected, and digital programming provides entertainment. Private bathrooms with separate bathtubs and showers feature deep soaking bathtubs and complimentary toiletries. Conveniences include safes and desks, as well as phones with free local calls. Take advantage of recreational opportunities offered, including an indoor pool, a spa tub, and a sauna. Additional amenities at this hotel include complimentary wireless Internet access, concierge services, and a television in a common area. Grab dinner at Essay Kitchen, a restaurant that specializes in international cuisine. Dining is also available at the coffee shop/café, and 24-hour room service is provided. Quench your thirst with your favorite drink at the bar/lounge. Buffet breakfasts are available daily for a fee. Featured amenities include complimentary wired Internet access, a business center, and limo/town car service. Planning an event in Adelaide? This hotel has facilities measuring 1238 square feet (115 square meters), including conference space. Peppers Waymouth Hotel occupies 18 floors of a modern tower block. Its contemporary lap pool and spa bath provide street views, while portholes in the pool floor overlook the driveway. The fitness center provides a range of weights and cardiovascular exercise equipment, and there is a sauna. This property offers 115 sq meters of conference space, along with 2 meeting rooms. Peppers Waymouth Hotel also has a small business center that provides a computer with high-speed Internet access. Business services may be arranged through reception. Essay Kitchen - This restaurant uses a contemporary flair to showcase the best of South Australia's local produce, with waiters waiting on hand with wine recommendations. Open daily for buffet breakfast and dinner (except on Sundays). Barketta - This lobby bar entices you with specialty cocktails, craft beers, and even a charcuterie board. Open daily from early morning until late evening. Peppers Waymouth Hotel has a contemporary lap pool where windows provide street views and portholes in the pool floor overlook the driveway. There is an adjacent spa bath and sauna. The fitness centre provides a range of weights and cardiovascular exercise equipment. Adelaide offers a good range of sport and recreation within the city boundaries – even a small indoor artificial ski hill known as Mt Thebarton. The 18-hole Adelaide Golf Course lies directly adjacent to the central business district, less than one km from the Saville City Suites. Ellis Park, suitable for walking and jogging, is just 500 metres away. The Adelaide Hills on the city fringes (about a 20-minute drive) offer further opportunities such as horseback riding, hiking, and mountain biking. Within an hour's drive, Victor Harbour offers sailing, scuba diving, snorkelling, water skiing, and whale watching.